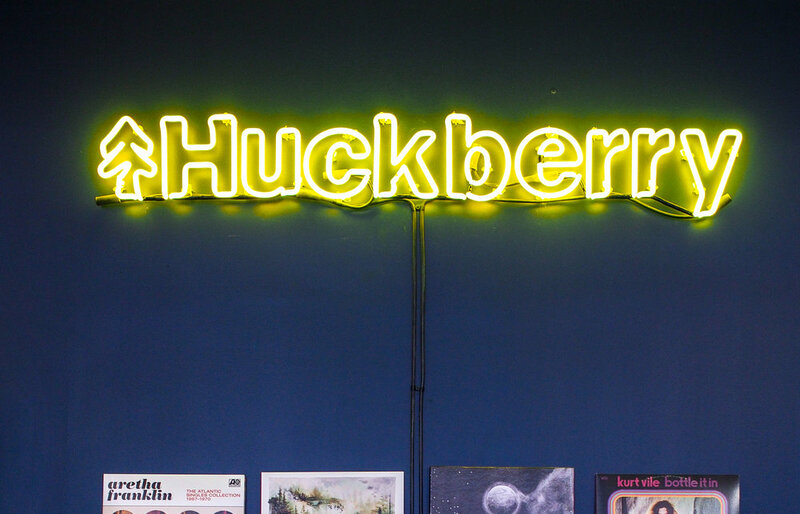 Huckberry recently opened a physical space in New York City and I was fortunate to attend the “VIP” pre-launch. Ok, it wasn’t really just VIP, it was friends and family, brand ambassadors, and the like. Either way, I made sure I secured a ticket with my name on it and booked a northbound train for the occasion. I’ve been a customer of Huckberry since their start in 2011. In fact, the return address on my first order had Richard’s name on it, and I believe the address may have been his apartment/garage. I just wish I knew how I stumbled across Huckberry back then. Huckberry's exploration into the physical space is off to a great start. While they say this is a pop-up, I would really like to see them do enough business to make it a fixture in the West Village neighborhood. In fact, I heard a local mention something along those lines as well. They were thankful to see such a warm and lively presence at 383 Bleecker. For years I've wondered what a physical Huckberry shop would look like and this pop-up pretty much nails it. I’m also really interested to see how future “versions” down the road would play out if they were able to dedicate more time and resources to the physical experience. Overall, it feels half store and half hangout and my only critique is that it might benefit from another seating area. Maybe a bar or bench or even a few stools for customers to slow down and enjoy the space. Space is obviously at a premium in New York City and it’s amazing enough to get the location they did. I’ve been in much smaller pop-ups where the product selection has to be severely limited. Everything in the shop is well though out and placed appropriately. In my mind, and comparing to the website, there are little touches everywhere that reinforce the Huckberry brand. Even the wide plank hardwood floors hearken back to the early days of the General Store. 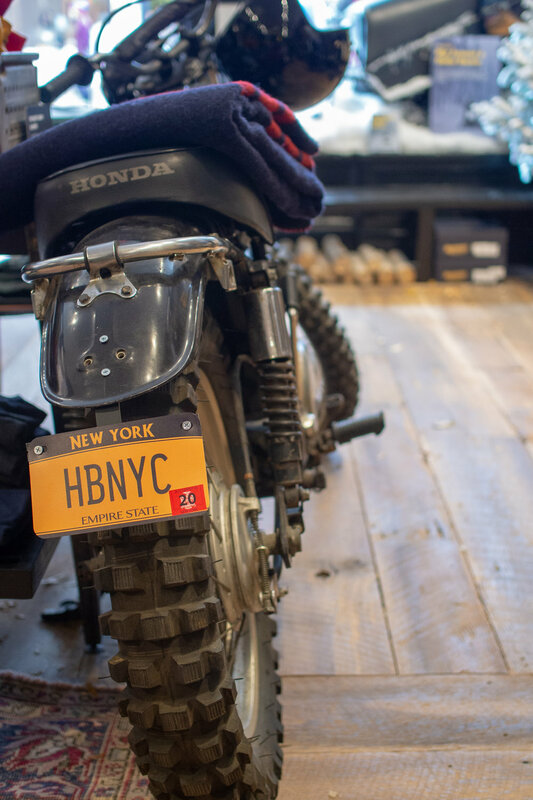 A week after the official launch, I returned to the shop with a friend of mine, and even though we were just spending a day in the city, I made sure to give him a tour of Huckberry. As a quick sidenote, I was impressed that Micah (Executive Director, Brand Management and Business Development), remembered my name. We only met on opening night and I’m sure he met dozens of other people. Maybe I’m just terrible with names but it felt good, like I was a regular. The shop was busy but not overly crowded and there was a good energy about. I must say, the Huckberry shop pairs well with New York City in the Fall. They’ve also been putting on some in-house events and will have more throughout the Fall and Winter months. Check out their site for a list of upcoming events. If you find yourself in NYC this Holiday season, be sure to stop in and check things out for yourself. And whether you’re shopping for the men in your life or just looking to treat yo self, you’re sure to find something awesome. Oh and probably the coolest thing about the shop is that the marketing team (I assume) came up with a genius way to "take" the Huckberry brand with you when you leave their doors. They've printed guides that cover a range of interests, detailing six adventures out and one night in. While the activities are geared toward the sights and sounds of New York City, they also have an itinerary for a trip to Iceland and another for snowmobiling across the oldest operating dude ranch east of the Mississippi.